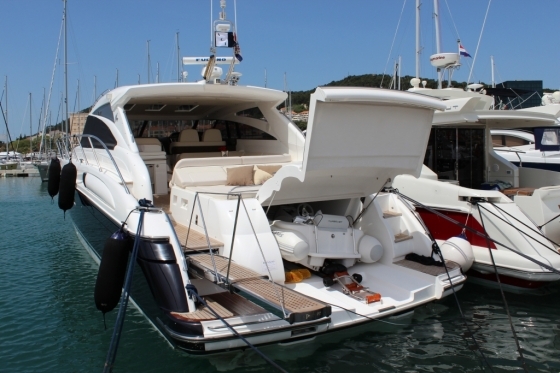 Let us to introduce Princess V 58 named Moggi and managed by Bomi Ship Charter company. 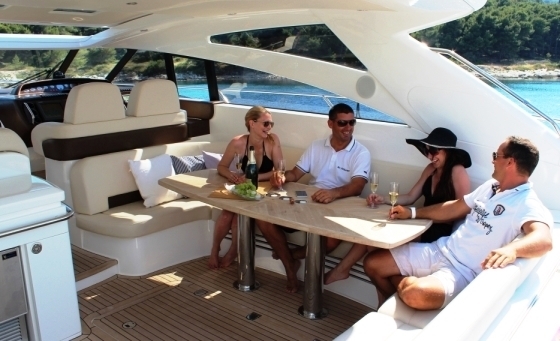 She is open for wide cruising in Croatia It is exceptionally manoeuvrable, highly efficient and practical to run. 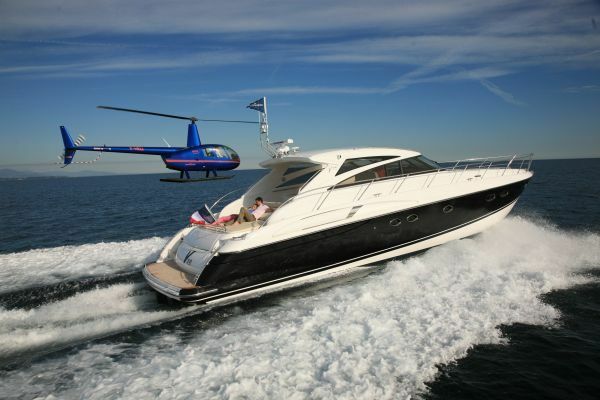 She combines the comfort of a large sports yacht with the joys of open air cruising and thrilling speeds. 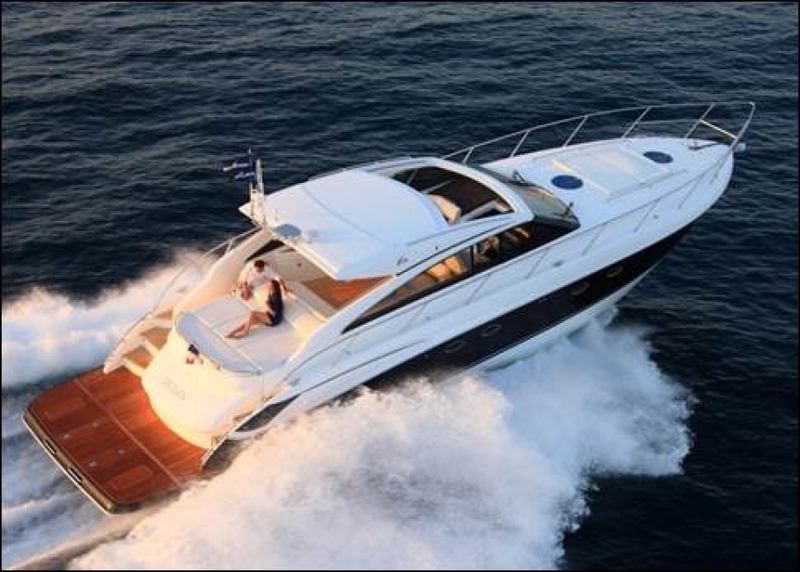 Her abilities at sea are unmatched, combining characteristic V-class handling with safe and effortless control. 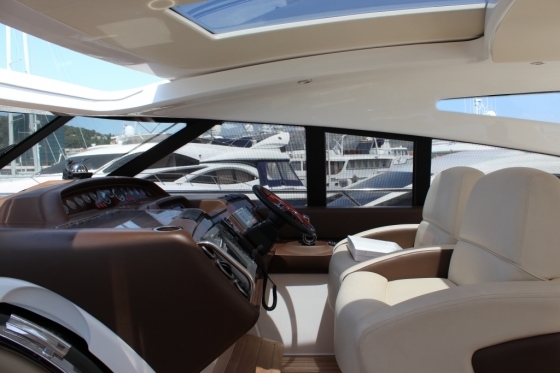 A large garage sits comfortably under the broad sunbed and accommodate Williams 325 Jet tender , whilst the cockpit provides a spacious entertaining area and is fitted with a cool box, wetbar and barbecue. 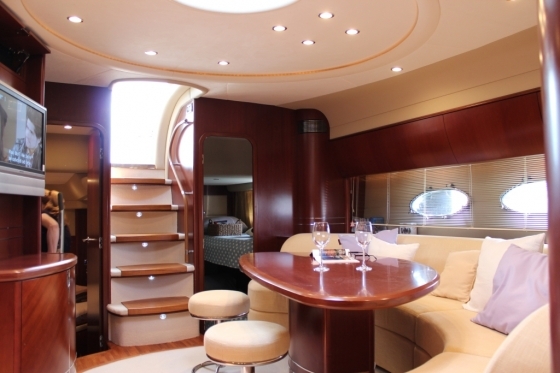 The main living area is exceptionally sociable but enjoys the privacy of being located below decks, incorporating a well-equipped galley and luxurious saloon. 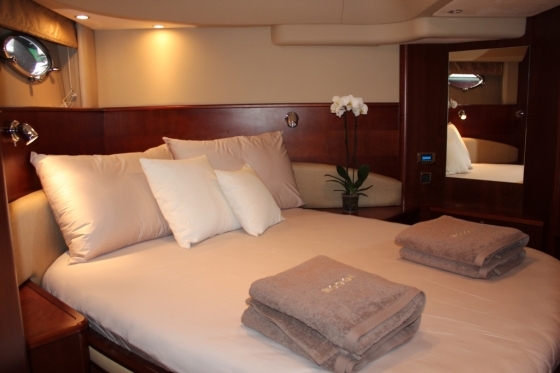 Two spacious double staterooms have en-suite facilities with large stall showers and a third twin berth cabin provides space for additional guests or family members. 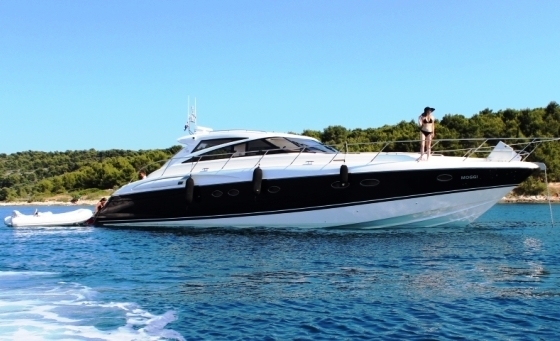 With a sleek profile and style the Princess V58 will deliver on your every dream. 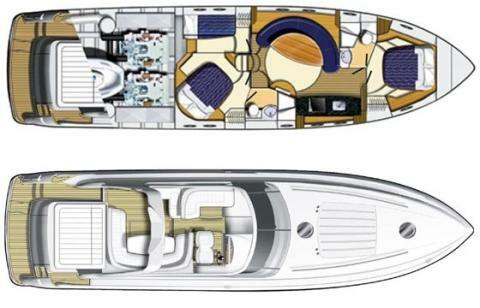 Air conditioning in exterior and Interior, Generator 7 kW, electricaly operated sliding roof, sun tent, atmosphere lights in cockpit, ice maker, electro-hydraullically opening tender garage, Hydraullic passarella with RC, Combination microwave/conventional oven/grill, sunbathing cushions on bow, cockpit large sunbed area, cockpit coctail wetbar , BBQ.